Aston Martin Lagonda of North America (Aston Martin) is recalling certain model year 2014 DB9 and Rapide S vehicles manufactured June 2013 to July 2014. Due to a faulty circuit board, the transmissions in the affected vehicles may inadvertently shift to neutral without input from the driver. If the transmission shifts to neutral, the driver will not be able to maintain speed or move the vehicle out of traffic, increasing the risk of a crash. Aston Martin will notify owners, and dealers will replace the affected circuit boards, free of charge. The recall began in October 2014. Owners may contact Aston Martin customer service at 1-888-923-9988. Aston Martin's number for this recall is RA-07-0018. Note: If the vehicle exhibits this problem, owners are advised to turn off the ignition and then restart the car which may allow the car to be driven out of harm's way. 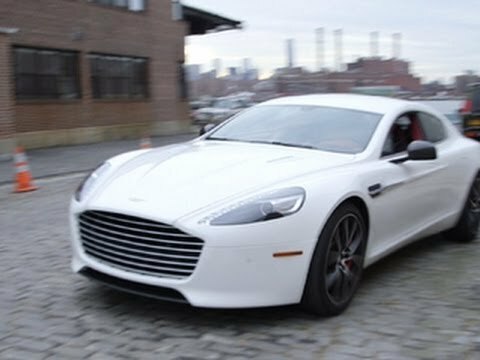 Aston Martin Lagonda of North America (Aston Martin) is recalling certain model year 2008-2014 DB9 and V8 Vantage, 2009-2012 DBS, 2010-2012 Rapide, 2014 Rapide S, 2011-2012 V12 Vantage, 2011-2014 V8 Vantage S and 2012 Virage vehicles. Due to a manufacturing error, the accelerator pedal arm may break. If the accelerator pedal arm breaks, the engine will return to idle and the driver will be unable to maintain or increase engine speed, increasing the risk of a crash. Aston Martin will notify owners, and dealers will replace the accelerator pedal assemblies. The recall began on February 11, 2014. Owners may contact Aston Martin customer service by calling 1-888-923-9988. Aston Martin's recall number is RA-03-0017. IMPORTANT: This recall supersedes recall 13V-228. Any vehicle that has been remedied under the previous recall needs to have the current remedy applied.